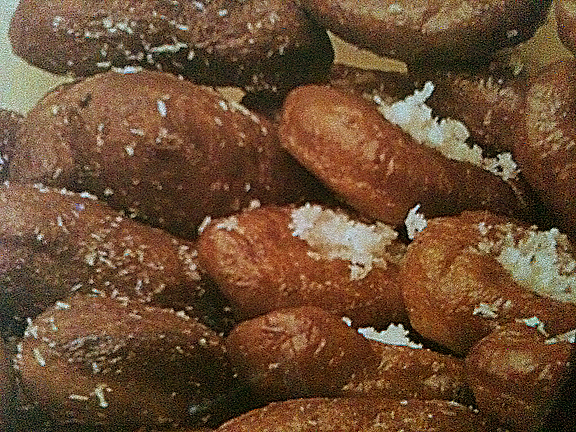 We always bought these traditional Cape Malay koeksisters or doughnuts on Fridays after school in Grassy Park. Malay women would make these on Fridays to have with tea after the men return from Friday mosque (at 1 pm). These are called koeksisters but are not to be confused with the traditional South African plaited koeksister. I remember the first tine I made them – 27 October1989, the day before Karl was born. Craved for weeks, made them and never got to eat any! Sift flour, sugar and salt in mixing bowl and add spices and peel. Rub 125 ml oil into the mixture until it looks crumbly. Mix milk, water and dissolve dry yeast and 5 ml sugar in half of this milk mixture. Add flour to the rest of the milk mixture. Moisten hands with oil and rub over the dough. Cover dough with a dish towel and let it rise for about 2 hours until double in volume. Roll dough on an oiled surface into a roll of about 5 cm in diameter. Cut strips of about 2cm off and shape into a flattish doughnut. Leave aside for 30 minutes to rise again. Heat oil in a pot or deepfryer and deep-fry koeksisters 5 minutes each side until brown. 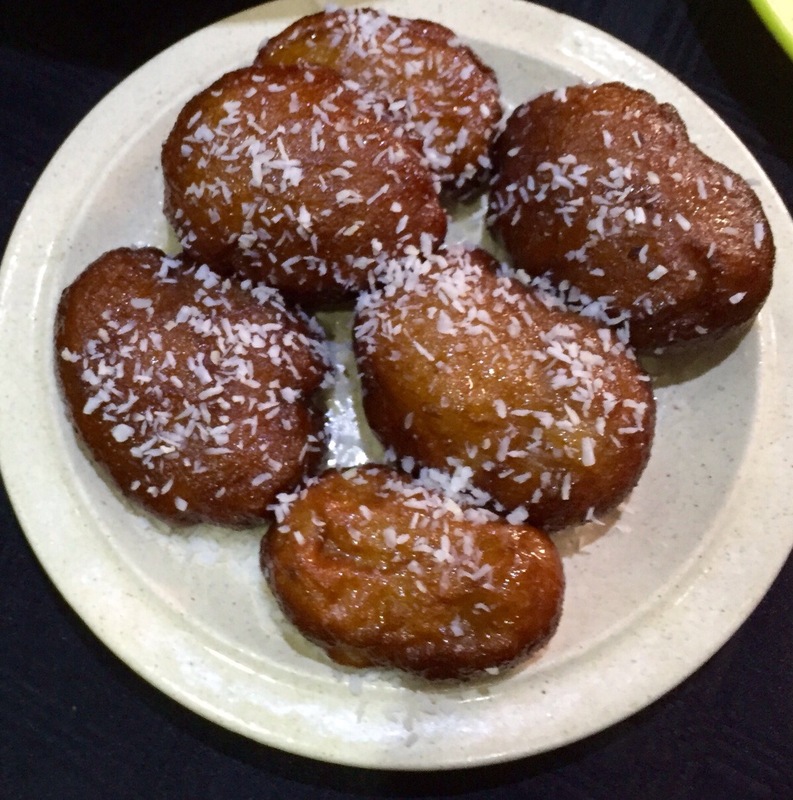 Boil koeksisters in sugar syrup for 1 minute – a few at a time – drain and roll in coconut. Boil water and sugar until sugar has melted and syrup starts to thicken. Stir baking soda and butter in. Use as syrup for koeksisters.